Kia will be showcasing a selection of its environmentally conscious EcoDynamics models, including the UK public debut of the all-new Rio hatchback, at this month's EcoVelocity Low Carbon Motor Festival in London. Visitors to the show, held from the 8 - 11 September in the grounds of Battersea Power Station, will have the opportunity to get up close with the all-new Rio, the new Picanto city-car as well as low-emission versions of the cee'd family hatchback and Sportage crossover on a purpose built test route. Test drives in the Congestion-Charge exempt Picanto will be available on a turn-up and drive basis. The new Rio is set to be the cleanest non-electric vehicle in the world - emitting just 85g/km CO2 and offering 88.3mpg in 1.1 CRDi ‘1' guise - when it goes on sale on 1September. The extremely efficient three-cylinder diesel engine is aided in its quest to deliver ultra low CO2emissions by longer gearing, a stop-start system, low-rolling resistance tyres and aerodynamic tweaks to reduce drag. 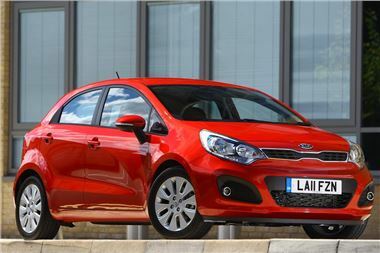 Joining the Rio on the Kia stand will be the recently launched Picanto. Available now for the first time in both three- and five-door versions, the new Picanto is offered with a 99g/km 1.0-litre engine and a 1.25-litre with emissions from 100g/km when combined with Kia's ‘Intelligent Stop and Go' stop-start system. Kia's stylish Sportage crossover, with its 135g/km1.7 CRDi EcoDynamics turbodiesel and the cee'd hatchback with its very low 103g/km 1.6 CRDi turbodiesel will also be on display. For more information about Kia's EcoDynamics range of vehicles go to www.kia.co.uk and for further details about the EcoVelocity show, or to buy entry tickets, go to www.ecovelocity.co.uk.